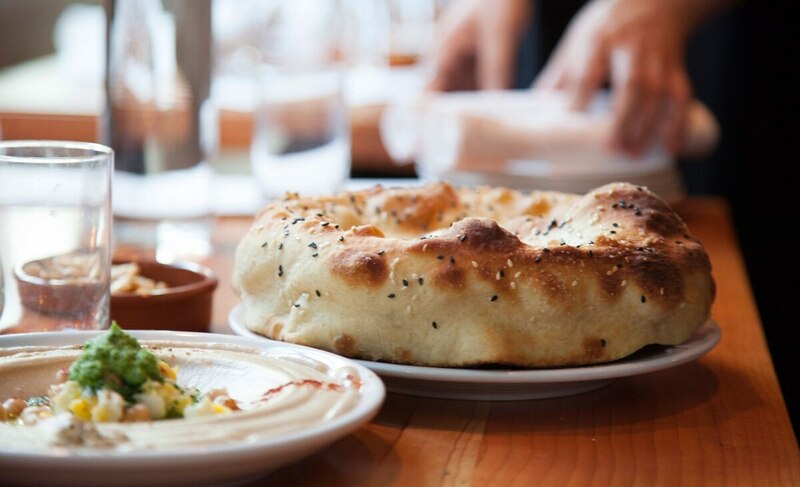 You came for the Usul hummus ($14) at this upscale Israeli-inspired eatery by restaurateur John Gorham. Chef Kasey Mills calls the process for making it "a grandma recipe," which is one where he doesn't need the exact measurements because he knows when it's right. But just as solid are the kebabs with meat ground fresh daily. The Nazareth ($16), which includes beef and lamb, is served on a bed of parsley tahina and puffed freekeh.